﻿Before we start, an apology: that headline is slightly misleading. The RS4 is a 174mph car, but only if you spend an additional £1,450 to delimit its top speed. Given this is presumably just a software tweak, it must be the most profitable – and least necessary – item on Audi’s options list. 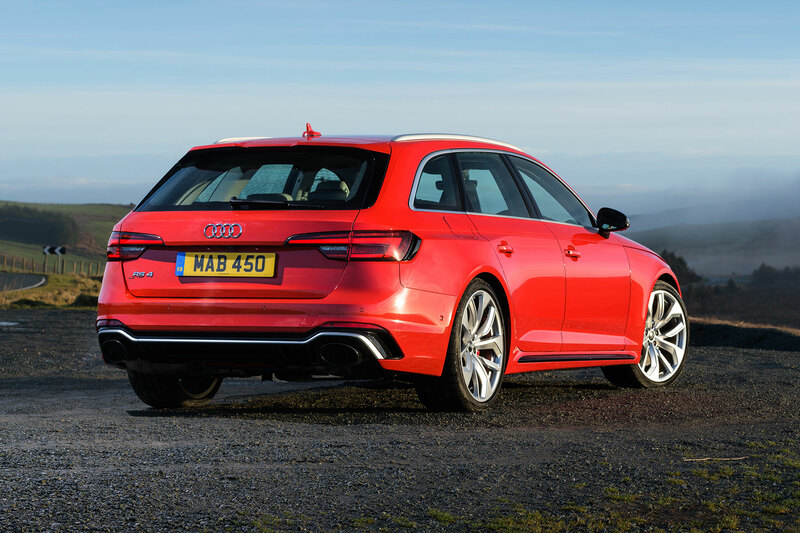 So, meet the new RS4 Avant: the 155mph family estate. Whichever spec you choose, this fourth-generation RS4 is still ballistically fast. Its 450hp twin-turbo V6 serves up 0-62mph in 4.1 seconds: 0.6sec quicker than the old one. And Quattro four-wheel drive, plus a standard-for-the-UK ‘sport differential’, mean you can deploy more of that power, more of the time. As well as going faster (natch), Audi’s goals for this 2018 RS4 were reduced weight, improved efficiency and better driving dynamics. It has delivered on the first two; weight is trimmed 80kg to 1,715kg, while fuel economy is up 21% to 32.1mpg. The handling? I’ll come to that. The RS4 is only available as an estate (‘Avant’ in Audi-speak), so its sole direct rival is the Mercedes-AMG C63 wagon. However, the Alfa Romeo Giulia Quadrifoglio and BMW M3 Competition Package – both four-door saloons – are in the same ballpark for price and performance. UK sales begin in March, at £62,175 for the standard car or £72,175 for the Carbon Edition. The latter is essentially a cosmetic upgrade, with 20-inch milled alloy wheels, LED headlamps, tinted glass, RS Sport exhaust and more stick-on carbon fibre than a Saturday night cruise in Southend. How does the new RS4 stack up on British roads? 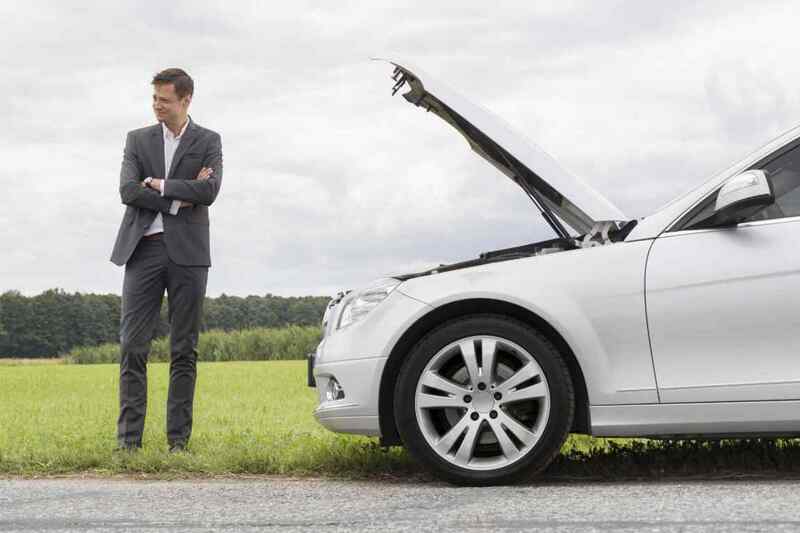 I travelled to Milton Keynes, home of Audi UK and many, many roundabouts, to find answers. Photos don’t do this car justice. Longer, wider and lower than the B8 model it replaces, it looks downright menacing in the metal. And let’s face it, there’s something curiously cool about a hot wagon. The RS4’s front and rear wings have been stretched by 30mm each side, and their squared-off profile evokes the blistered wheelarches of the iconic ur-Quattro. Bumpers peppered with air intakes, oval tailpipes and a just-so stance are further clues this is no repmobile A4. 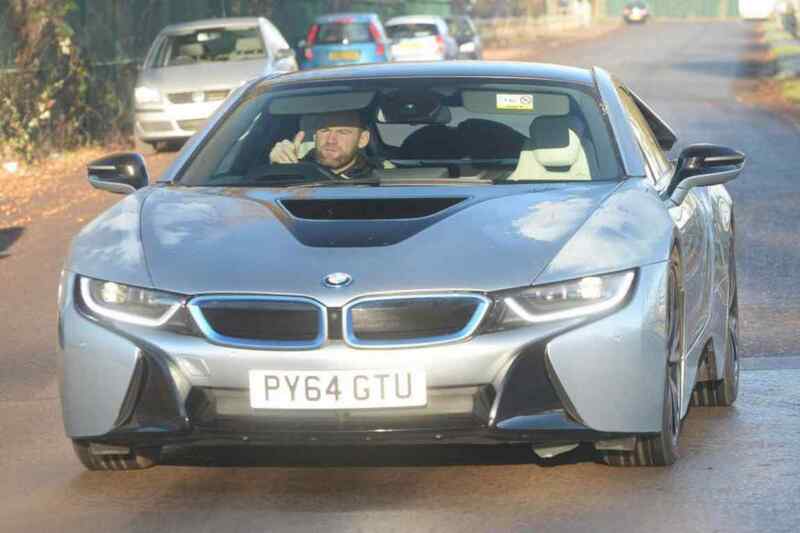 Shame the vents flanking the front and rear lights are fake. I browse the spec sheet for my Misano Red test car, which includes a whopping £17,000 of extras. Thankfully, it does without Audi’s divisive variable-ratio Dynamic Steering, but does have Dynamic Ride Control (£2,000) – a McLaren-style system of hydraulically interlinked dampers intended to quell body pitch and roll. Other extras of note include 20-inch wheels (£2,000), the RS Sport exhaust (£1,200), a panoramic sunroof (£1,250) and those all-important red brake calipers (£400). Looking premium certainly comes at a price. Leafing through the book of automotive journalist clichés, I conclude the RS4’s cabin is ‘a nice place to be’. Did I mention that ‘all the controls fall easily to hand’? Or that ‘there’s enough boot space for trips to Ikea’? Consider it done. Facetiousness aside, the A4 still has the best interior – and, for my money, the best infotainment system – of any compact executive car. The RS4 only improves on that, with honeycomb-stitched massage seats, standard MMI Navigation Plus and RS-specific displays for the Virtual Cockpit: Audi’s fully-configurable digital instruments. You’ll wonder how you ever coped without a G meter, lap timer or real-time torque display. The driving position offers a huge range of electric adjustment, while the rear bench will accommodate three lanky teenagers. The family dog, meanwhile, will be pleased to find 505 litres of boot space (fractionally more than the C63 estate), or 1,505 litres with the rear seats folded. Lastly, everything you touch, from the Alcantara-wrapped steering wheel to the cupholders, feels beautifully engineered and built to last millenia. The Alfa and BMW don’t even come close. 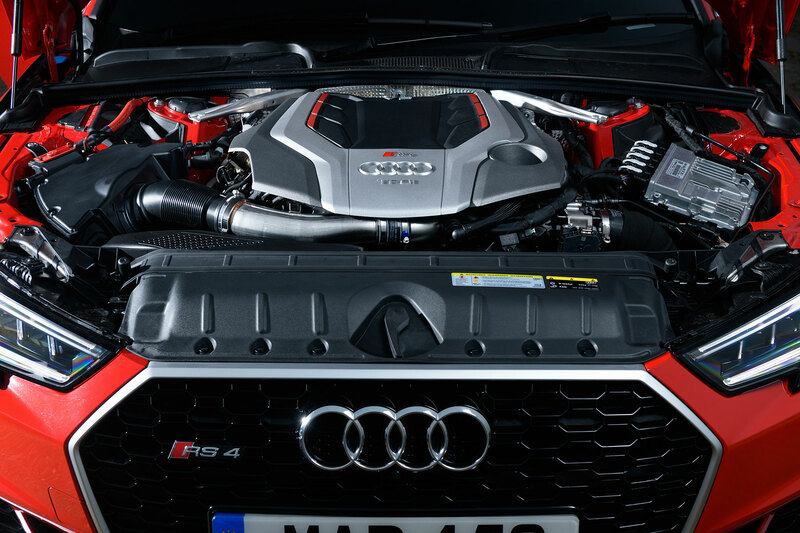 There’s one statistic that defines how the RS4 drives: 443lb ft of torque at 1,900rpm. With so much low-down wallop, it feels ferociously fast from a standstill, out of corners, and indeed everywhere else. An eight-speed Tiptronic torque converter auto is the only gearbox option, but is fast and intuitive enough that you won’t miss the old dual-clutcher. With the RS Sport exhaust fitted here, shifts are soundtracked by characterful crackles that seem more ‘authentic’ than those of the smaller RS3. Plant your right foot and the baffles – clearly visible inside the tailpipes – swing open, transforming the Audi from calm cruiser to snarling sports car. The Quattro four-wheel-drive system has a 60 percent rearward bias, but can divert up to 85 percent of torque to the front wheels or 70 percent to the rears as needed. Working with the sport differential, which juggles traction between the rear wheels, it slingshots the car between bends with astonishing speed and no drama. The contrast with the lairy, tyre-smokin’ C63 AMG couldn’t be more apparent. Indeed, on dry tarmac, the Audi feels more or less unstickable; few cars corner with such arm-around-a-lamp-post assurance. 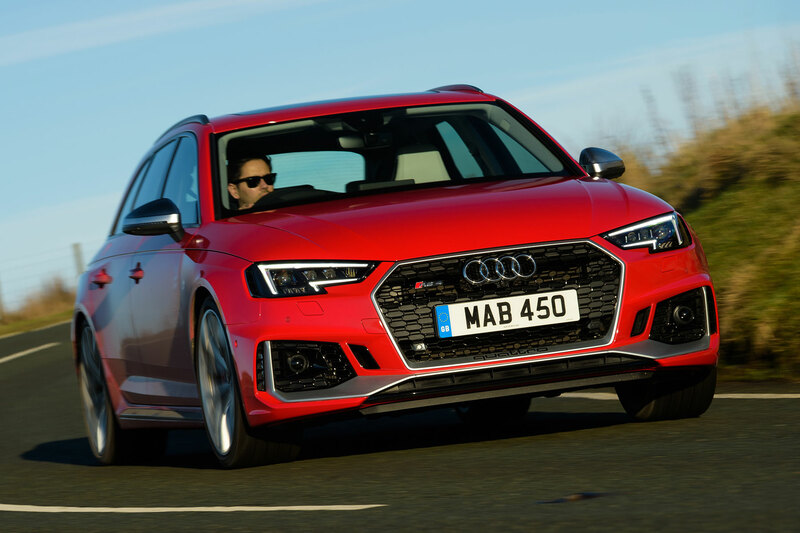 Dynamic Ride Control banishes body-roll almost entirely, while the RS4’s relatively compact dimensions make it equally fast on real roads as the larger, 560hp RS6. If you’re waiting for a ‘but’, here it comes. 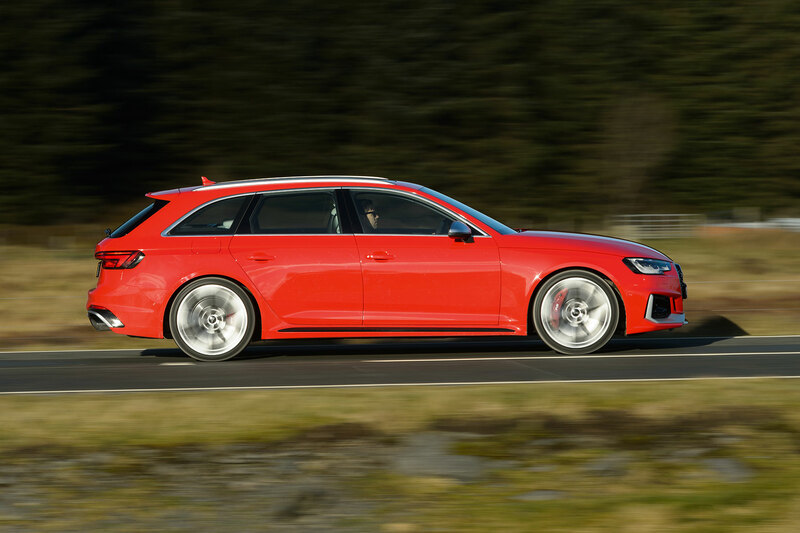 For all its pulverising pace, the RS4 isn’t the last word in driver involvement. Its steering is quick and accurate, but doesn’t communicate a great deal about what the front wheels are doing. And that feeling of aloofness is exacerbated by Dynamic Ride Control, which makes it harder to judge where the car’s limits are. Even so, it’s vastly better than fast Audis of old, and genuinely enjoyable on a cross-country blat. I should add that ride quality is much-improved over the previous RS4, too. Switch the drive mode to Comfort and it’s surprisingly pliant, even on 20-inch wheels. 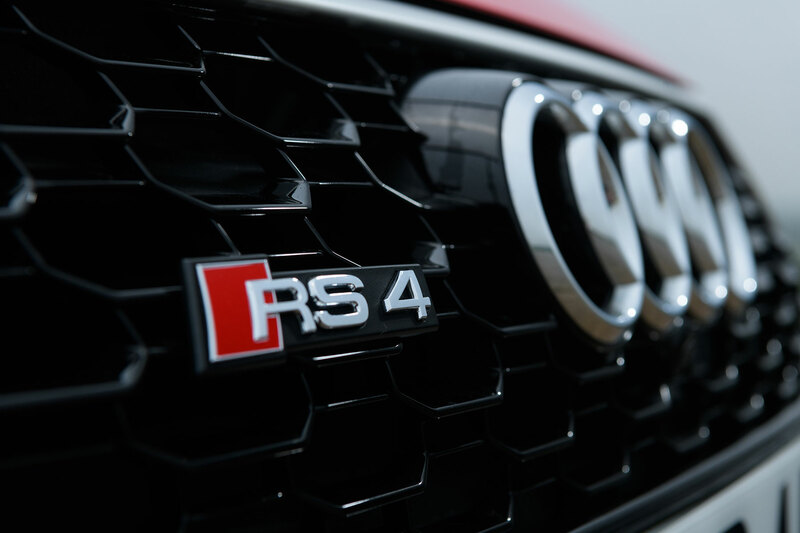 R8 supercar excepted, the new RS4 is the pick of the 18-strong Audi Sport (formerly Quattro GmbH) range. It’s a consummate all-rounder: comfortable and classy, fast and fun. As a means of swiftly shifting your golf clubs/suitcases/labradors (delete as applicable), it’s almost without equal. And way cooler than any hotted-up SUV. That said, my money would still go on the RS4’s only real rival: the bombastic Mercedes-AMG C63. Objectively, it’s an inferior car – slower point-to-point, less efficient and harder to live with – but it offers a sense of heady, high-octane theatre the Audi simply can’t match.